Really, it’s impossible to go wrong with ruffles. So this flippy dress has loads of them, all over a relaxed A-line skirt that’s perfect for wearing every day. 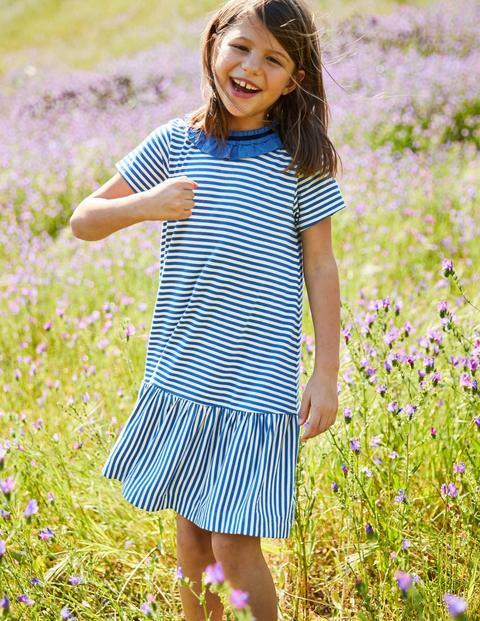 Choose from sailor-girl stripes or vintage-style florals on comfortable and lightweight jersey. The peplum hem has bags of fullness, because you can't go wrong with that either.